Playing board games is a popular family pastime, however storing these games can be a challenge. 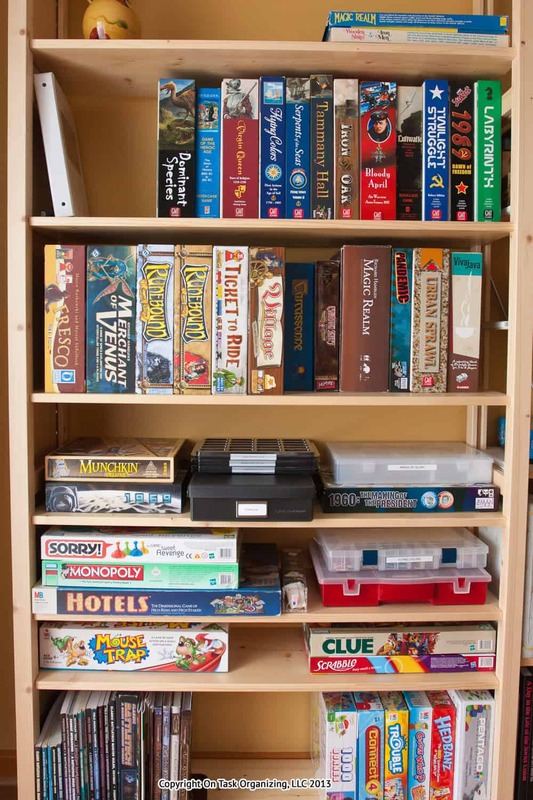 Many board games are stored away in boxes, cabinets, closets, basements, even poorly stacked on the floor, only to be forgotten about and rarely played. If it takes too long to find and set up a game, you will be less likely to play it. 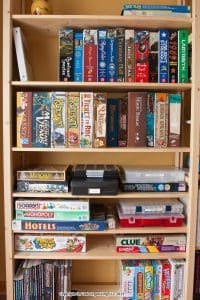 I recently helped a family with organizing their board games and displaying them on a shelving system. This family owns a mix of designer board games, along with the more common family games such as Scrabble and Monopoly. These games had been spread throughout the house in various places, and they were hardly played. 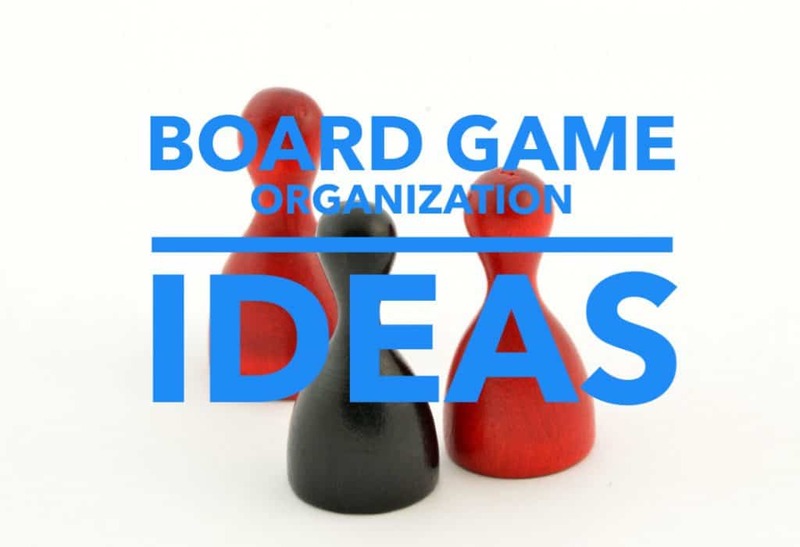 We first gathered all games in one location to determine the categories and look at the number of games and the sizes of the boxes: bookshelf games, flat pack games, travel size, card games, etc. The next step was to set up a shelving system in the dining room, since the dining table doubles as a gaming table in this home. Fully customizable Skandia shelving was bought at The Container Store. With the option for shorter shelf heights, none of the games are stacked very high, allowing them to be easily taken off the shelf or put away. The games were then stored on the shelves according to type. Children’s games were placed on the lower shelves where they can be easily reached, and designer bookshelf games on the upper shelves. The historical games were sorted chronologically on one shelf. Thematic games were stored on the next shelf, sorted by box size. This new location allows for more frequent game play. Some of these games take quite a while to set up. Most games are packed for shipping or displaying on store shelves, rather than for playing. Numerous counters, chips and other small components are needed for many of these games. 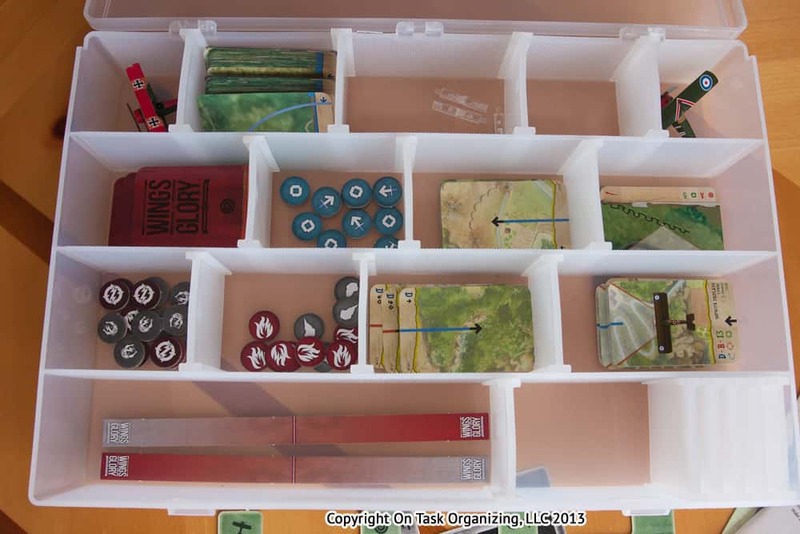 This is where micro-organization using small containers has been put into place to speed up the set up time and allow the game play to begin more quickly. Counters that do not fit properly in the game boxes have been moved to clearly labeled storage boxes. Plastic tackle boxes can be used, but infinite divider boxes allow for adjusting the compartments to the specific size of each counter. 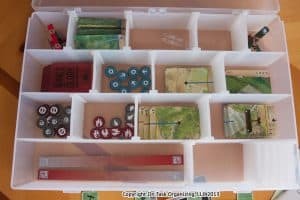 For smaller counters of one size, GMT Games counter trays are useful. Some games have many pieces that need to be arranged or separated before the game begins. In this case, small clear boxes, such as Lock Ups or clear Amac boxes were used to sort out pieces. 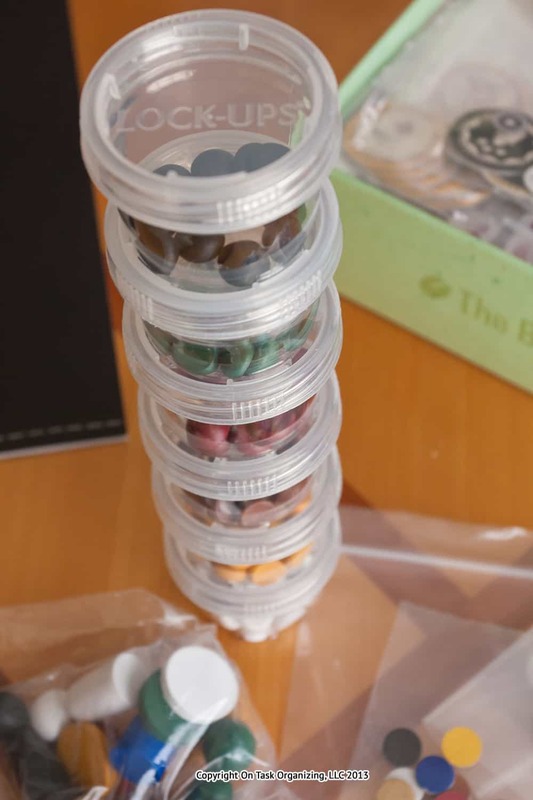 Small plastic baggies will also work to help organize tiny game pieces. 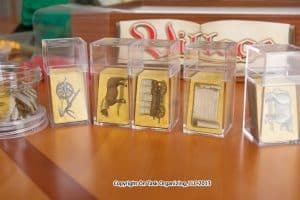 Board Game pieces in Lock-Ups. 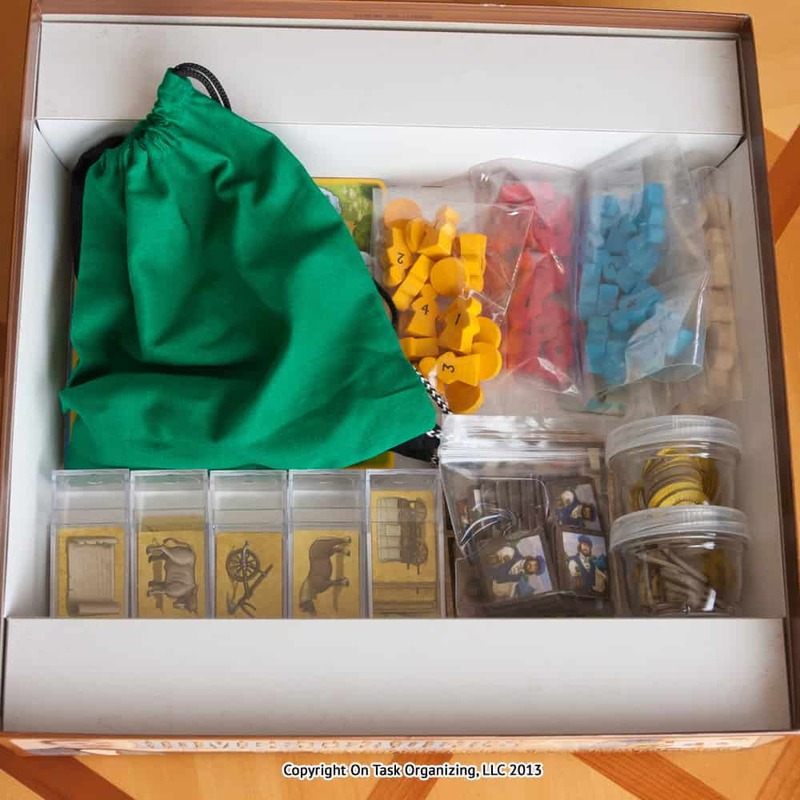 Each game has its own natural organization based on the game rules, so it is best to consider how you set up each particular game when choosing the proper storage containers. The Container Store has a great variety of small storage containers, but you can also buy clear bins or small baskets at Walmart, Target, or The Dollar Store to better store your game pieces. Small snack sized bags, and plastic food storage containers from the grocery store are other good options. With the games better organized, you can begin playing more quickly and sooner enjoy that quality time with friends and family. 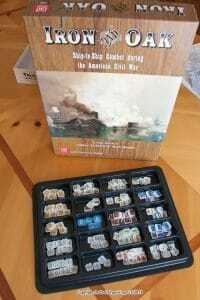 You will also be able to clean up and put away the games faster, and have fewer lost pieces with a well organized system. One additional tip: To prevent a gaming storage area from becoming cluttered, be sure to look through the games every 6 months. If there are games your family no longer plays or has outgrown, consider selling or donating those games.